The Los Angeles Mission Legacy of Vision Gala is being planned for the evening of October 21st at the Four Seasons Hotel Los Angeles at Beverly Hills. This year’s event will focus on the Mission’s services to homeless families and veterans through vital programs designed to restore their lives. This year’s honorees will be former Los Angeles Mayor Antonio Villaraigosa and former U. S. Congressman David Dreier. 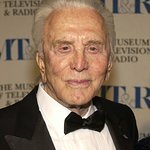 Anne Douglas, wife of actor Kirk Douglas, will present the “Anne Douglas Legacy of Giving Award” for exemplary community service. Miguel A. Núñez Jr. hosts this year’s gala; with music for the evening provided by “America’s Tenor” Steve Amerson. WHEN: Tuesday October 21, 2014. The Mission has served Skid Row since 1936 by providing food, clothing and shelter to the homeless community. 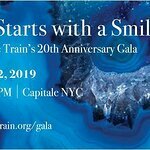 This event will celebrate the organization’s years of service and raise funding for the continuing operation of the Mission’s work. The men and women of the Los Angeles Mission and Anne Douglas Center for Women will benefit greatly from proceeds raised at this year’s event. Funds raised will go towards shelter, meals, clothing, medical needs, academics, job preparation skills, and overall personal restoration to transform their lives. Find out more about the event here.